SanPal S Connect .5 oz Compact Hand Sanitizer Antibacterial Gel in Flip-Top Squeeze Bottle with Colorful Silicone Leash. 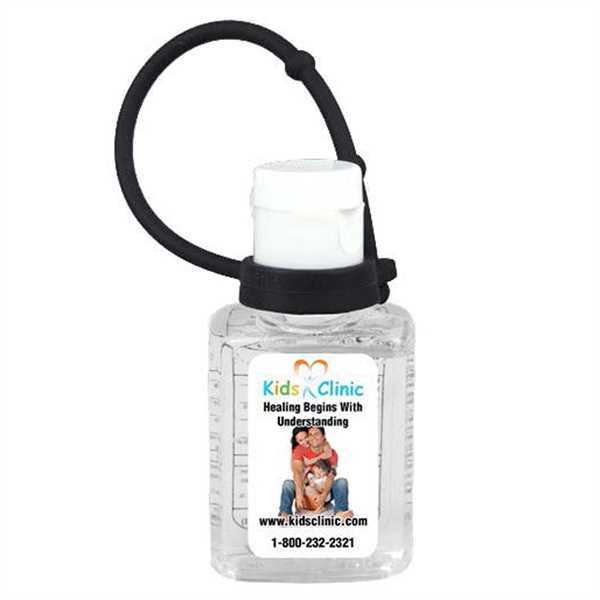 This convenient and compact size bottle contains .5 oz of antibacterial hand sanitizer gel. Comes with colorful silicone leash to easily attach to your bag, backpack or anywhere you want to make it easily accessible. Citrus Scented. Meets FDA standards. All sanitizer bottles include ingredient label on reverse side. Overseas. Price Includes: per color. Inlcudes one color imprint, one location. Price Includes: up to a Full Color Imprint on white vinyl label.